Much of the fascination which Soviet aircraft and its associated aerospace industry holds for the analyst, enthusiast or ordinary member of the public, stems from the thick fog of secrecy that enveloped the industry throughout the 'Cold War' until the collapse of the Soviet Union in 1990/91. Until then details which in case of Western designs could be found from the nearest reference book was in the case of Russian aircraft often a matter of conjecture and an inaccurate article written by a western journalist. This author has been fortunate to have obtained much original and previously unpublished information from the former Soviet Union for this unique volume on the history of the Soviet Aircraft Industry Since 1909. 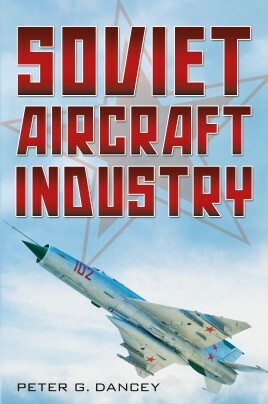 It gives the reader a clear understanding of the unique characteristics of Soviet-designed aircraft, in particular military types that at times caused great concern in the West with regards to the technical advances inherent in their design. The book is as much a history of the USSR as it is its, aerospace industry, culminating as it does with President Putin's Russian Federation.